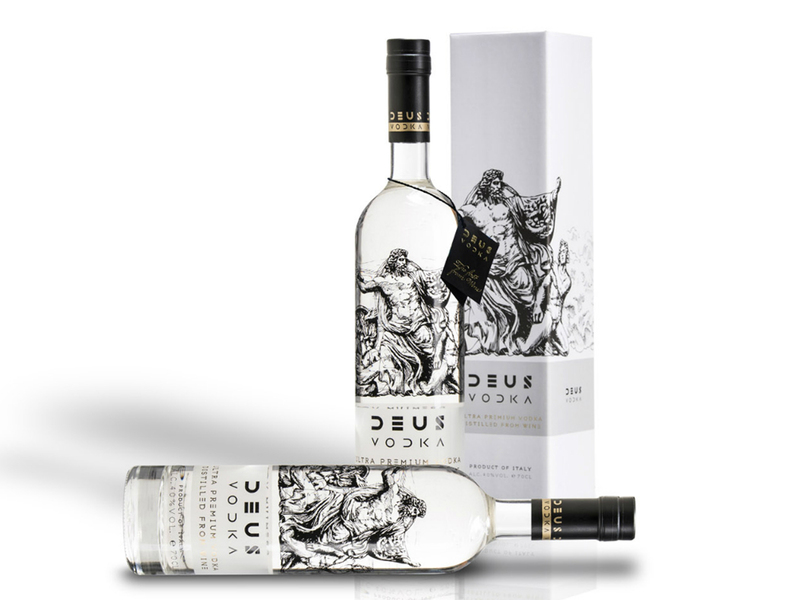 Deus Vodka is the first tuscan vodka produced entirely from wine. 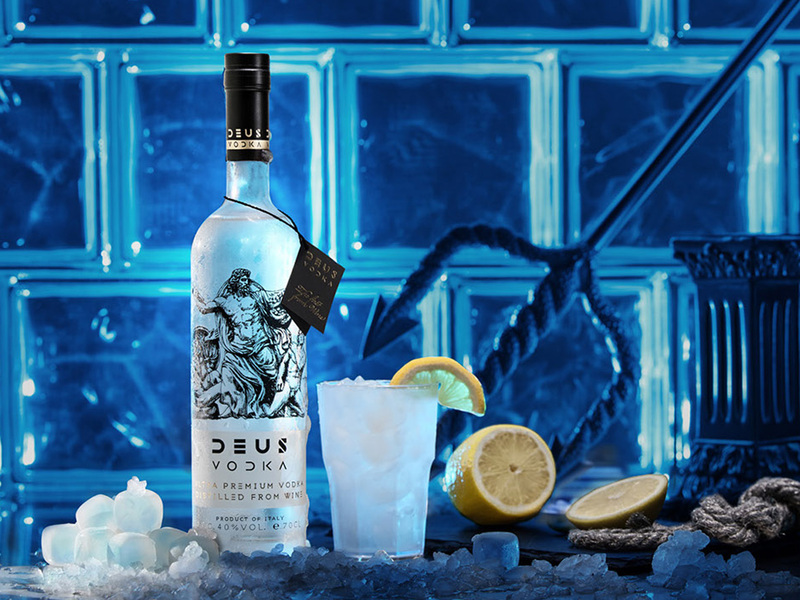 The briefing idea was to link the vodka image to a mythical vision, using the name “deus” as a connection to that concept. 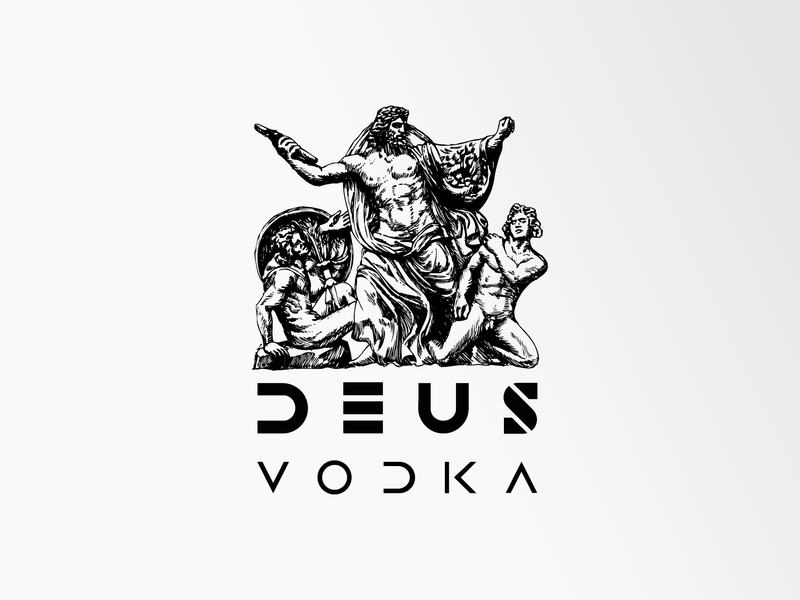 The label represents a bas-relief – graphically reinterpreted – with Zeus in all his immensity. Zeus wins over his rivals and takes place in the clouds, above the brand name.